The ink configuration may only be changed once within the first 3 months of installation. Should an ink configuration change become necessary after 3 months, many of the ink delivery components including print head, dampers, and ink lines may need to be replaced. 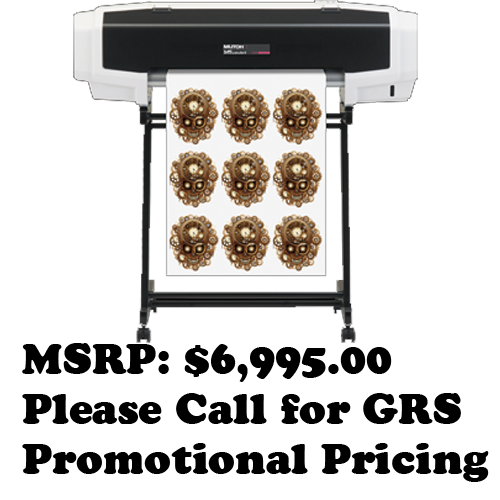 The VJ628X is an economical Eco-solvent printer with a small footprint that packs a lot of punch for the dollar. Able to fit on a desktop in any print shop, this 24â€ printer will make a valuable addition to your workflow. And now with three ink configurations offering up to eight colors including CMYK, Lc, Lm, white and metallic inks, the possibilities for creative output are endless.